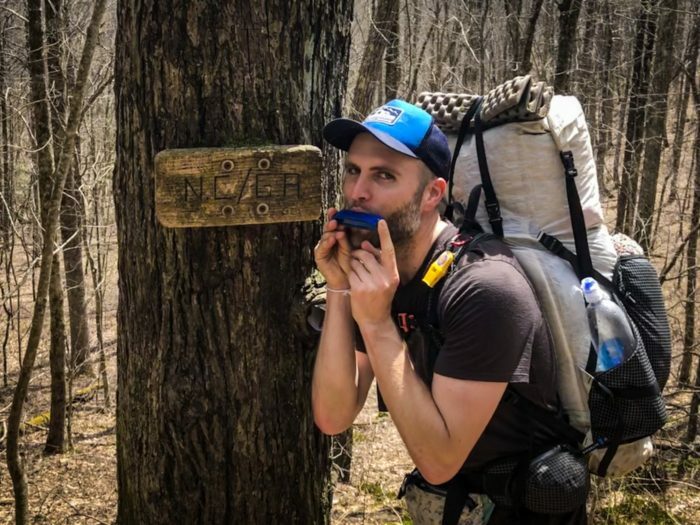 My first 100 miles on the Appalachian Trail have been nothing short of incredible. I’ve been blessed with beautiful weather, surrounded by amazing views, and have experienced kindness and generosity in all kinds of forms both on and off the trail. After spending a few days on trail and allowing the initial adrenaline rush to wear off, I found myself quickly settling into a natural routine. My day is straightforward: I wake up, pick a destination for the day, and start hiking. Along the way I admire some views, find a nice spot for lunch, and filter some water. When I get to camp, I set up my tent, cook some food, and mingle by the campfire with fellow hikers. Then I go to sleep, get up, and do it again. I’ve discovered something both beautiful and liberating in the simple routine of trail life. Signs like this really encourage you to hike faster. I have been blown away by the generosity of those providing magic on the trail. During the first couple days I was experiencing so much trail magic that it was almost overwhelming. 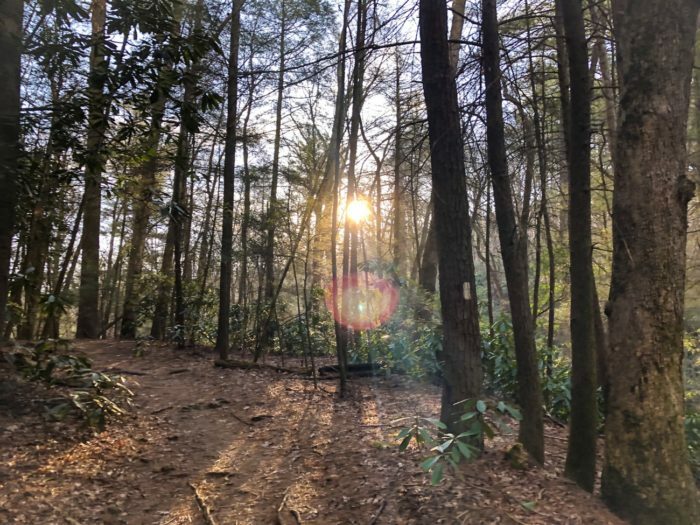 I’ve encountered afternoon hiker feeds, early morning coffee and doughnuts, and all you can drink cans of PBR with a chance to grill your own hot dog on a stick. All that people seem to want in return is to know where you’re from and what brings you to the trail. 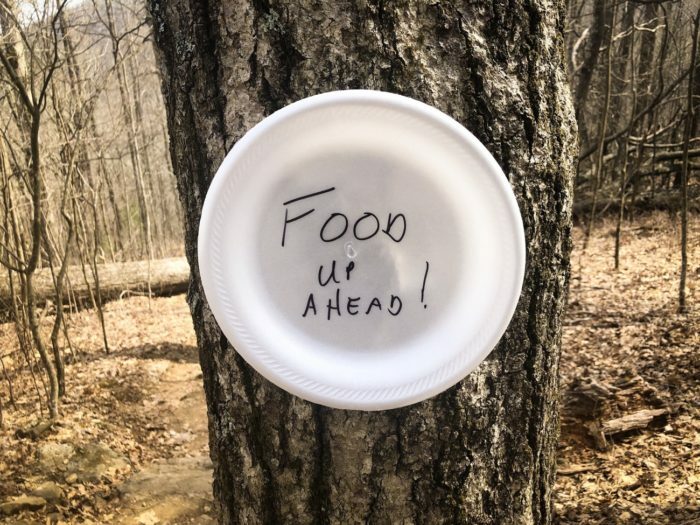 A hiker feed at Cooper Gap. But my favorite trail magic so far has been the completely unexpected kind. For instance, after a long day on the trail I randomly came across Birthday Girl and French Dip at a lonely gap before Standing Indian Mountain. Birthday Girl is completing her section hike of the AT this summer, and French Dip thru-hiked the Appalachian Trail last year. They were car camping in the area for the weekend and handing out treats in an effort to pay forward some of the kindness that they have experienced on trail. 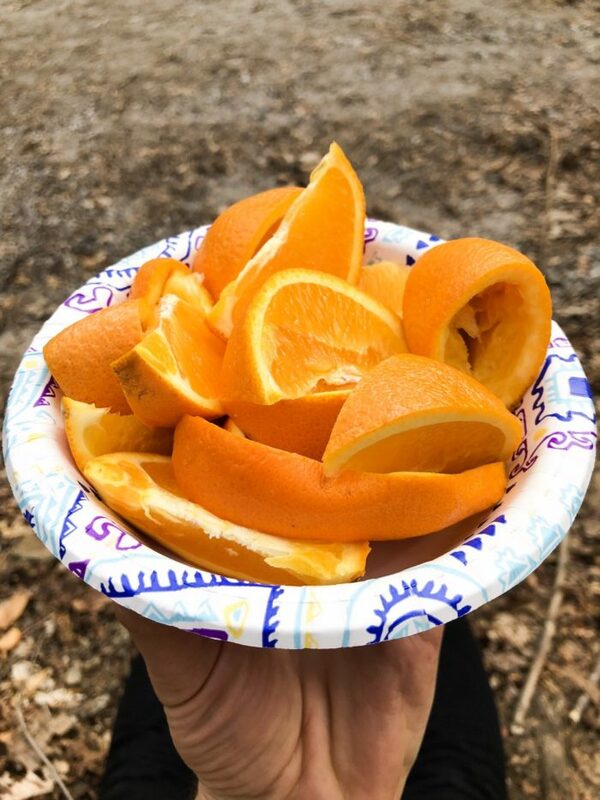 As I rested by the side of their van, Birthday Girl handed me a giant bowl of sliced oranges, which I devoured in about ten seconds. I don’t think that I’ve ever tasted anything so good. 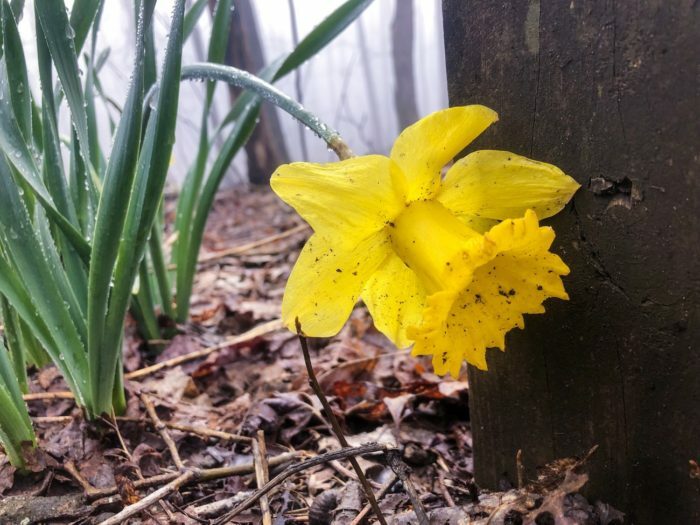 The nights are chilly, but signs of spring are everywhere. Hiking the trail has been like a giant real-life Choose Your Own Adventure book. 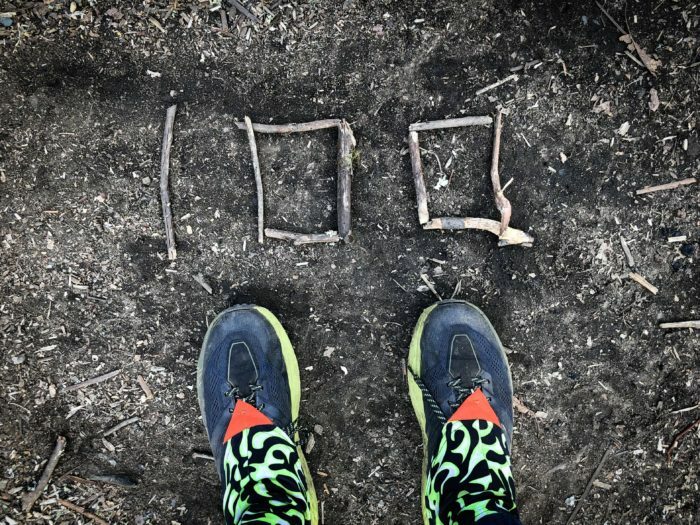 You can decide to put in a 20-mile day, or take a zero in town. 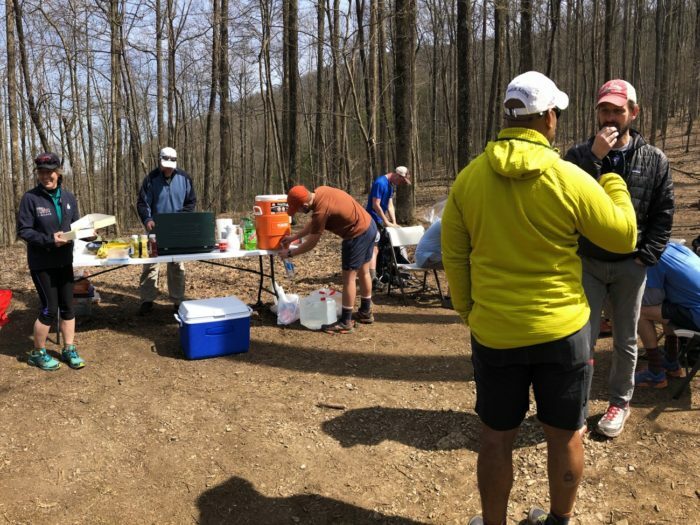 You can eat three chili dogs at a hiker feed, or just grab a piece of fruit. Change your underwear every day, or don’t wear any at all. There is no one out here to tell you what to do or how to do it. Because I’ve never been exactly great at making decisions, all this unbridled freedom was a little daunting at first. I’ve been relying on my intuition and common sense and it seems to be working out well. 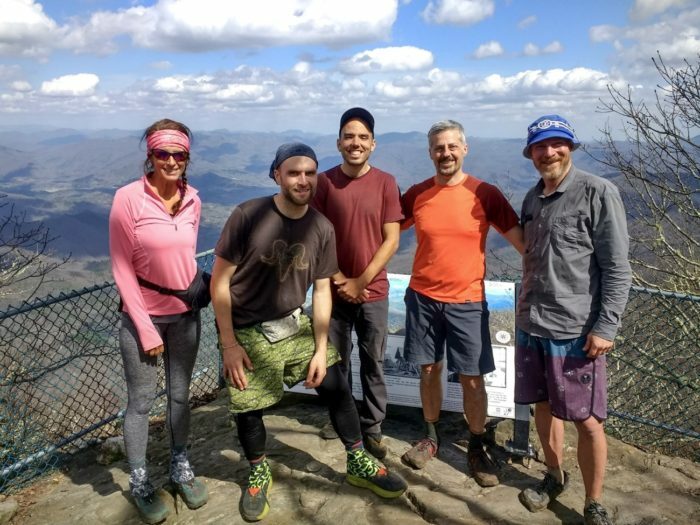 I faced my first major decision my third day on trail after I summited Blood Mountain and rolled into Neel Gap early that afternoon. I had already done about 14 miles for the day, but was still feeling fresh and wanted to push on for a bit. There was a possibility of storms in the forecast, however, so I decided to play it safe and get a bunk in the hostel for the night. The motley crew bunking in “The Dungeon” at Neel Gap. It turned out to be a wise choice. Around 5 p.m. a random hailstorm erupted. It was much nicer watching the hail fall from inside the hostel than from inside my tent. 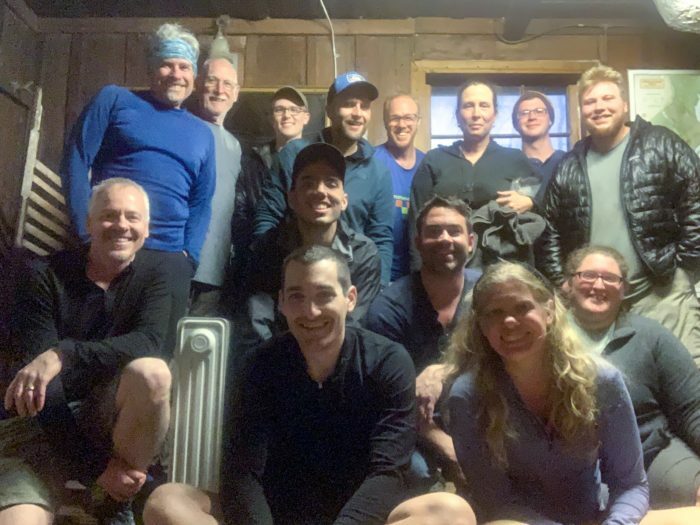 I also got to spend time with an awesome group of hikers, and encountered even more trail magic when a church group showed up with a full dinner spread later that night. 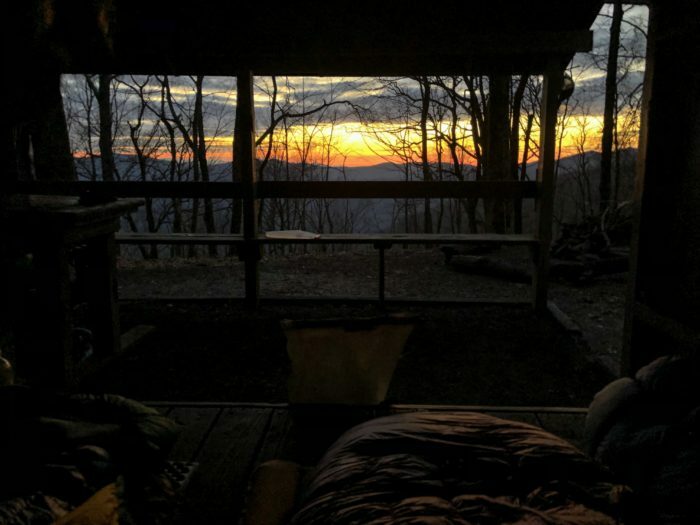 Sunrise from Blue Mountain Shelter. The first couple days on the trail were a blur of names and faces. I would hike with someone for a few miles or camp with some people for a night, only to never see them again. 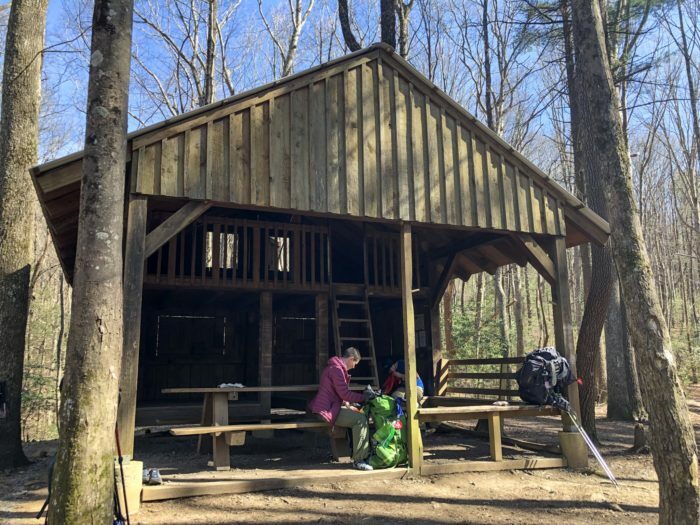 One night at Blue Mountain Shelter I met some hikers who would become my crew into North Carolina. Clammy was a native of Seattle who has already completed the PCT and CDT and was thru-hiking the AT to complete his Triple Crown. Valley Forge, as his name suggested, hailed from Valley Forge, PA. 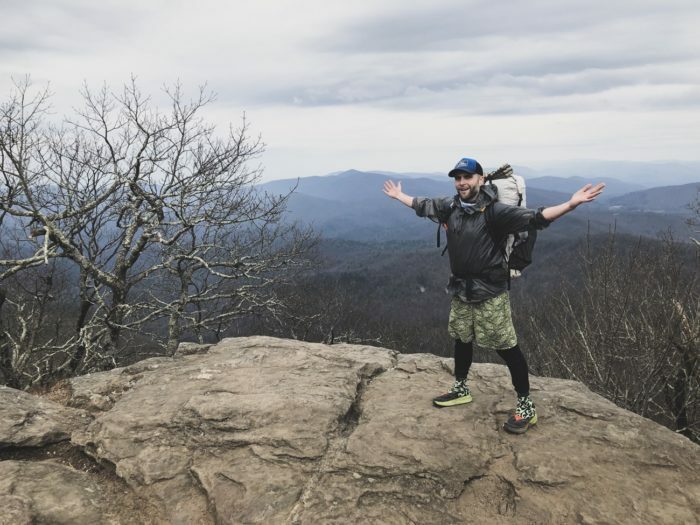 He had already hiked the northern three-quarters of the AT and was now hiking from Springer to Damascus to complete his 2,000 miles. UNICEF was a twentysomething from Bolder, CO, who earned his trail name because of a tendency to accept any donation offered to him. Tiger Lily, Fast Lane, UNICEF, Valley Forge, and Clammy at the top of Albert Mountain. After leaving Blue Mountain we kept bumping into each other at rest stops and lunch breaks. We seemed to mesh well and have a similar hiking speed. Just like that my tramily was formed. My trail name didn’t come as quickly. I spent a brief stint as Casanova because I was spotted sipping champagne with some lovely ladies on Springer Mountain, but it didn’t stick. At a motel room in Hiawassee, Clammy made a comment about my quick pace and tendency to constantly pass everyone I see on the trail. From that day on I’ve been known as Fast Lane. Crossing the border into North Carolina and hitting the subsequent 100-mile mark was an incredible feeling. I know that I’ve barely scratched the surface of this thru-hike, but it was a huge confidence boost to know that I could hike this far while still feeling great physically and mentally. My journey through Georgia has already been an amazing adventure. I can only imagine what the next 2,092 miles hold in store. SOBO Thru Hiked last year so your experiences and insights all resonated. Also brought a longing to get baxk.on trail. You are right about the pure joy that comes from the simplicity and freedom of trail life. You take nothing for granted and truly enjoy simple pleasures. You also notice all the kindness around you that is often lost in the noise of everyday life. It only gets better as you head North so enjoy.